Last week one of my coworkers brought in a lunch that made me so jealous I wanted to punch her in the head and steal it. Instead of assaulting her, I decided to recreate the meal myself with organic ingredients from the Dekalb Farmers Market. It was my first ever trip to a farmers market (gasp!) and I fell in love immediately. While it is located in bumfuck Decatur, it’s well worth the trip. I went on Saturday and the place was a zoo. People. Everywhere. But once I stifled my inner agoraphobe I started making my way through the produce and was astonished at the quality, variety and prices of everything. I came across a basket of tomatoes that I thought were fake, they were so red and perfect. 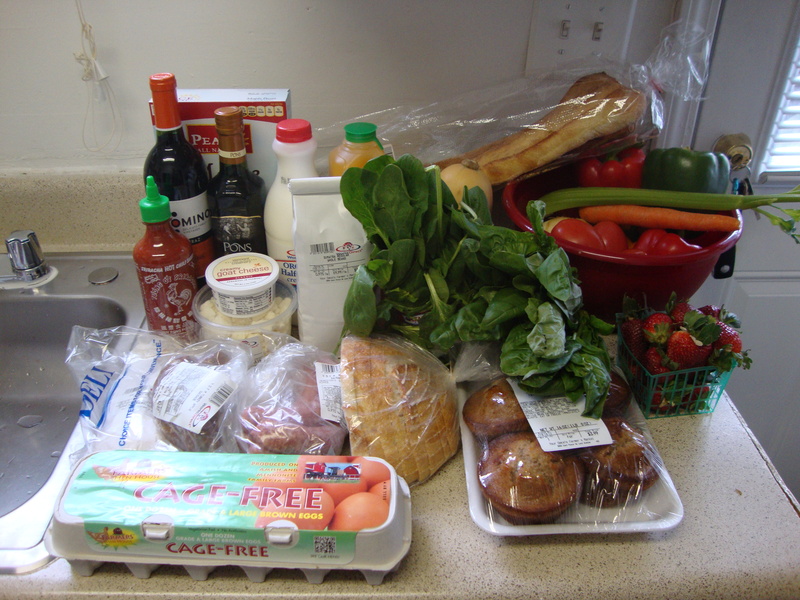 I bought all the necessary ingredients for the meal along with groceries for the week and was bracing myself for a total of about $120 or so. But I was shocked when the cashier said $70. I bought booze, expensive coffee, olive oil, the works and that was my total. Kickass. Now on to the fun stuff. The first thing you need to do is roast the peppers. Preheat your oven to 450 degrees Fahrenheit. Wash peppers, cut them in half, remove insides (I used an ice cream scooper to do this, but a spoon would work fine), rinse all seeds out. Lay on a cookie sheet or pan covered in foil. 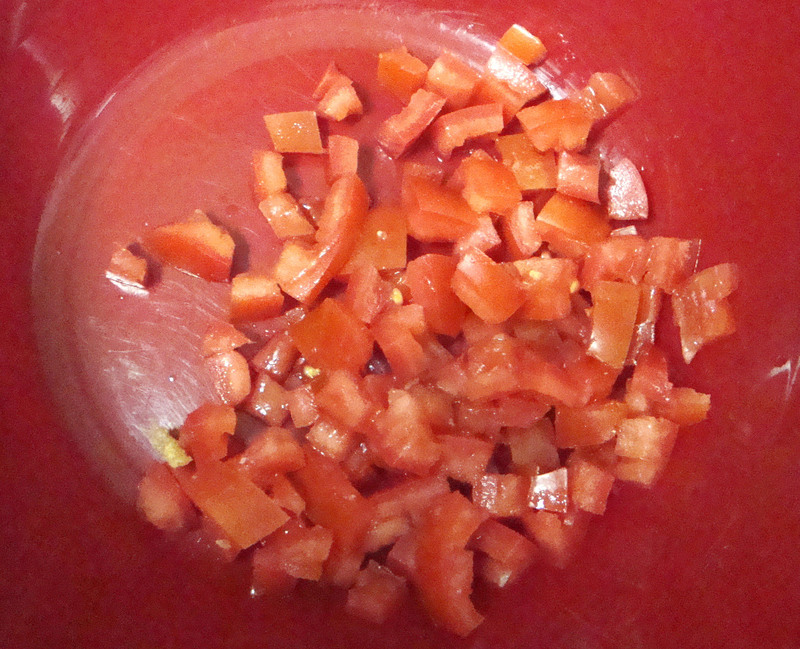 Separate out two tablespoons of olive oil and brush the peppers with it on both sides. 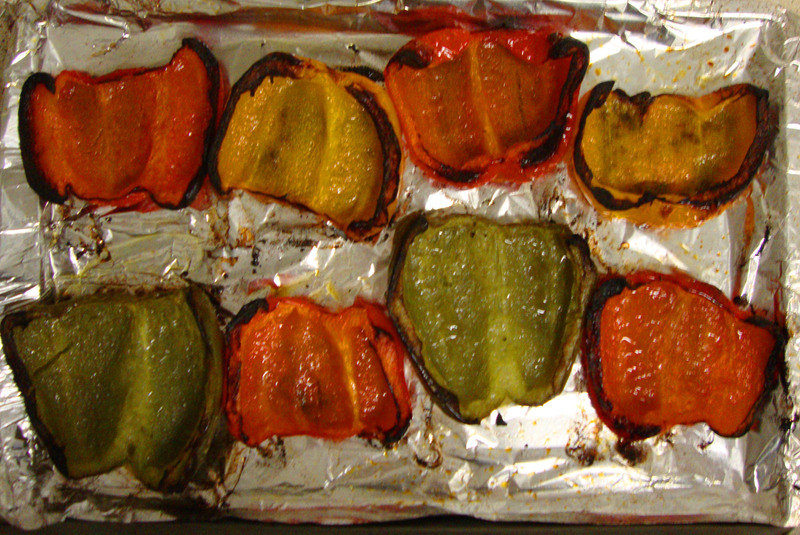 Stick them in the oven for about 30-40 minutes turning every 15 minutes or so until they are nicely charred. **Caution: Olive oil has a really low smoke point so your kitchen may get a bit smoky during this roasting process. I don’t know how to get around this other than to use a grill. I just opened the window and door to clear the air. 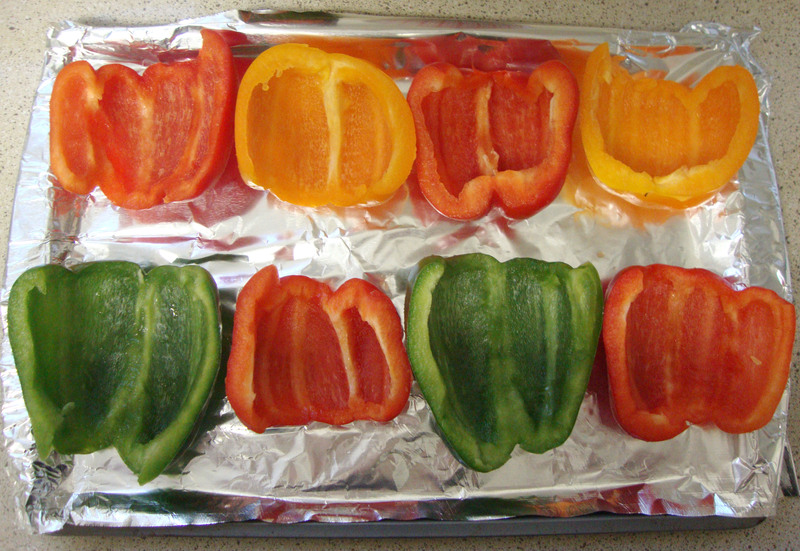 The peppers should look something like this when done. 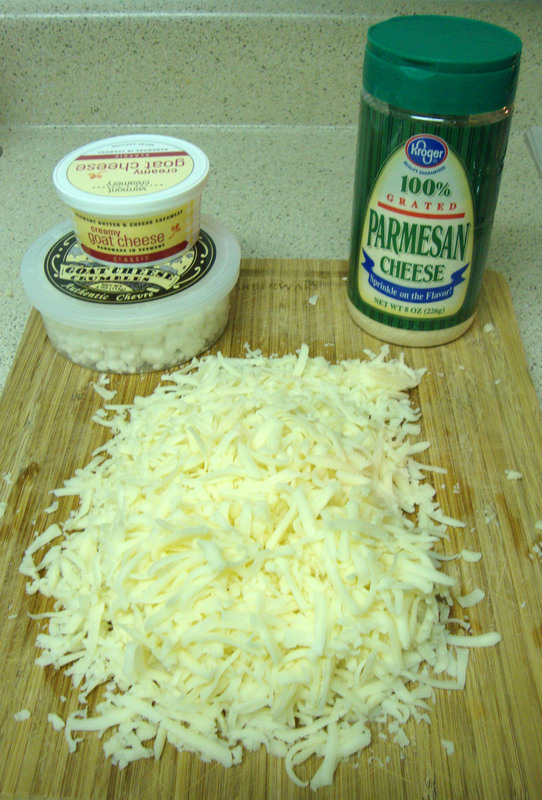 While the peppers are roasting you’ll prepare the cheese filling mixture. 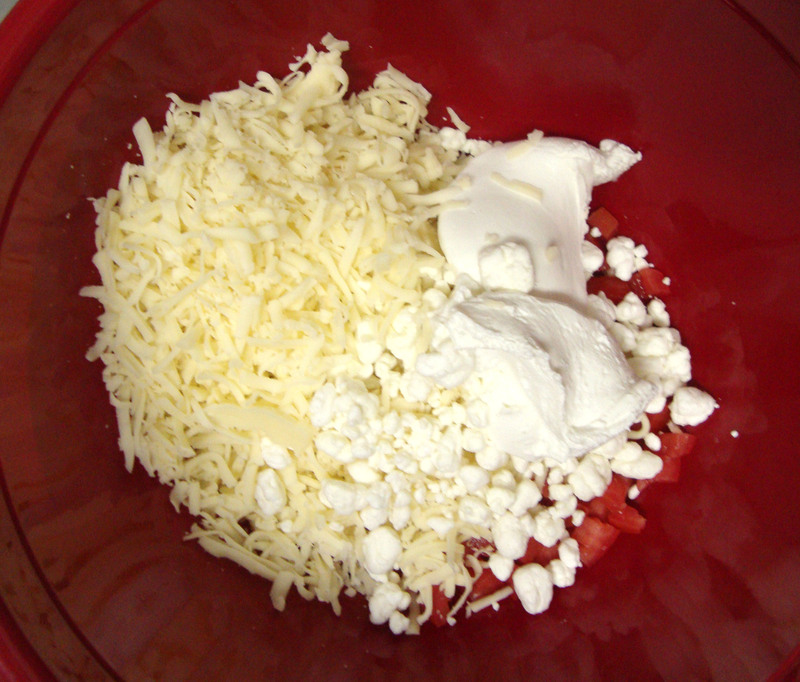 Combine mozzarella, crumbled and creamy goat cheese, Parmesan cheese and tomatoes. 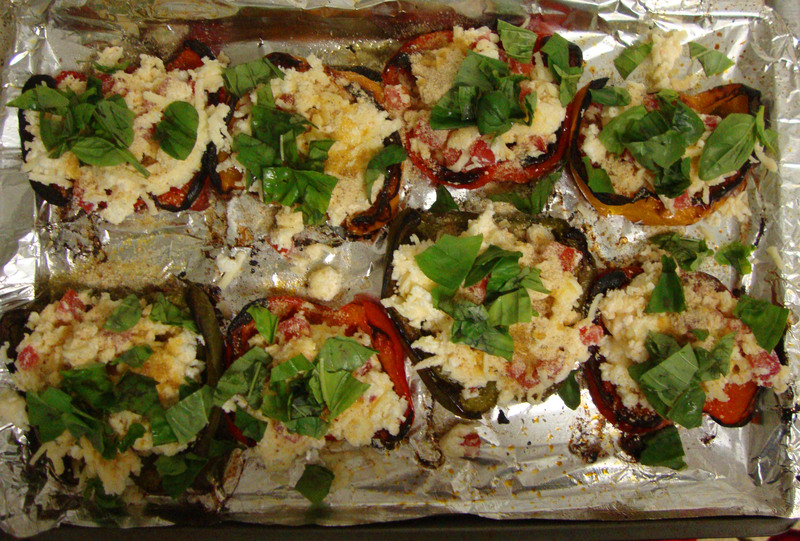 Spoon equal amounts of cheese mixture into each of the roasted peppers. 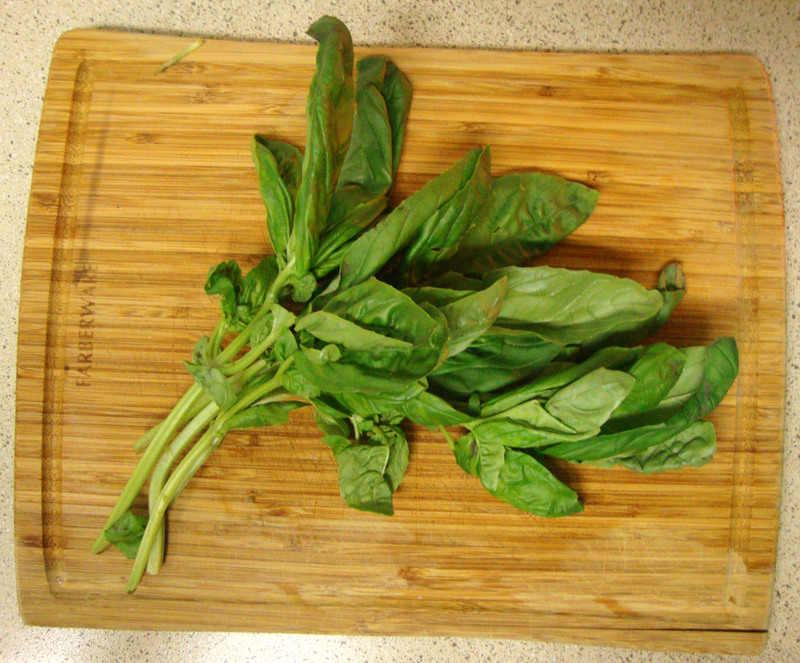 Break out your fresh basil and tear into small pieces with your hands. 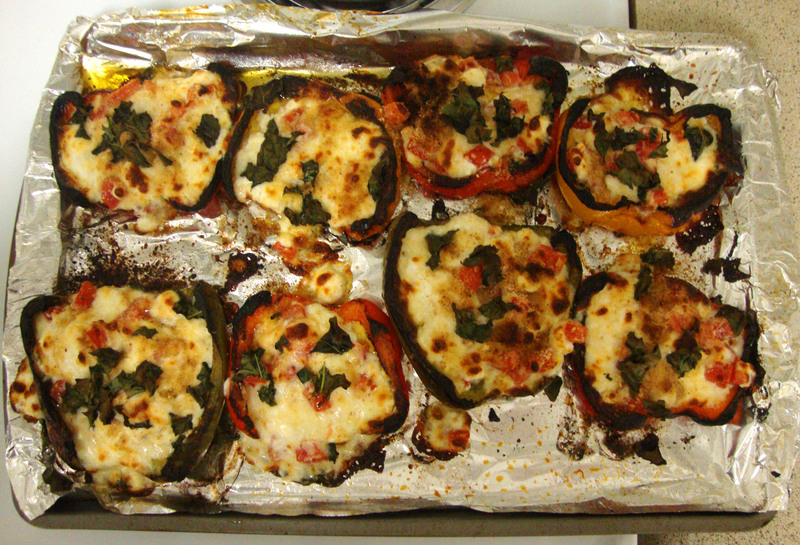 Sprinkle the cheese-filled peppers with bread crumbs. Top with fresh basil pieces and drizzle with the remaining olive oil. Stick it in the broiler for 5-10 minutes or until cheese is slightly brown and bubbly. There you have it, folks! If you make this recipe or have a solution to the smoke problem, I’m all ears. Leave a comment and help a girl out! This entry was posted in ATL, Food and tagged Decatur GA, dekalb farmers market, farmers markets in Atlanta GA, how to make roasted peppers in an oven, how to roast bell peppers in an oven, roasted bell peppers recipe, roasted peppers stuffed with goat cheese by Sarah. Bookmark the permalink. Yum! Definitely making this. I have heard that using canola oil when broiling helps with the smoke. Not sure if that is true but if it works i’ll let ya know! To tackle the smoky kitchen issue, instead of using 100% olive oil, use a 50-50 mixture of extra virgin olive oil and canola or peanut oil. The olive oil provides the taste and the canola/ peanut, with its higher smoke-point, results in less smoke. Thank you! That definitely sounds like it will clear up my issue.